Tesla has chosen Australia – with its world-leading battery storage market – for the global unveiling of its upgraded home energy management system – the latest version of the Backup Gateway hardware that supports its Powerwall 2 unit. The Backup Gateway 2 upgrade, which partly accounts for the recent hike Tesla’s household battery costs, was unveiled to about 50 installers at Tesla’s store in Richmond, Victoria on Monday night, and will roll out to installers elsewhere in coming weeks. The new unit – which is the smarts and communications centre for Tesla’s Powerwall battery systems, enabling solar self-consumption and time-based control applications – features improved aesthetics, with a display similar in design to the battery itself. It also includes a range of new features, including fast data, improved connectivity, and the ability to work with three phase homes that will enable up to 10 Powerwalls to be connected on-grid and up to 4 Powerwalls for single phase back-up during an outage. Among new features is 0.2% site-level metering accuracy, allowing Powerwall owners to unlock future value by participating in virtual power plants, and it is equipped with LTE for faster data transfer for monitoring and over-the-air-updates. 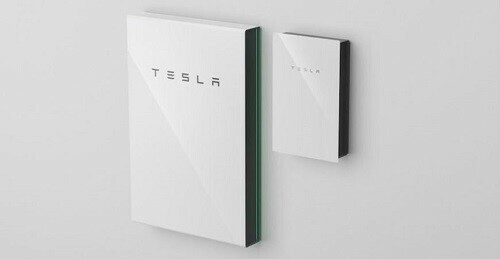 The upgrade has translated into a big jump in costs to the Tesla Powerwall 2 systems, however, with the price of the Gateway itself doubling to around $2,250, and lifting the overall cost of the product by around 20 per cent to $12,350 before installation costs.